What if, for a brief moment in time, you felt like you’d had a stroke? Your arm went numb, or your vision blurred. And just as suddenly as it began, it was over. Or was it? You may have experienced what is called a TIA, or transient ischemic attack. Even though the attack is over, this is a warning you should take seriously and call 9-1-1. 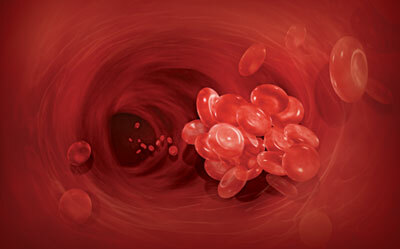 A TIA is caused by a blood clot and the only difference between a stroke and a TIA is that with a TIA, the blockage is temporary. TIA symptoms occur rapidly and last a relatively short time. Most TIAs average about a minute in length. Unlike a stroke, when a TIA is over, there is no permanent injury to the brain. However, this is your stroke warning. About one-third of TIA patients go on to experience a stroke within a year. The emergency departments at NorthBay Medical Center and NorthBay VacaValley Hospital treat an average of 20 TIAs a month, according to Gallegos.